Over 100 natural pure white cultured freshwater pearls and white Keshi pearls have been added to 10 strands of graduated "invisible" Lycra wire, creating the illusion that the pearls are floating on your skin. Is it magic, or is it an illusion? Finished with an ornate Sterling Silver push-in clasp. Pearl sizes vary from 4-5mm up to 8mm. 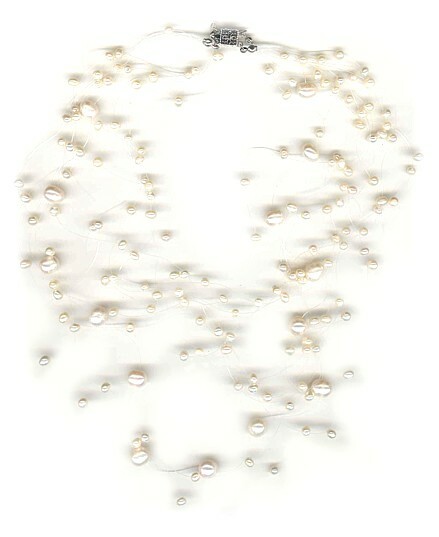 Shortest length 17" floating pearl necklace, 17" in length.